A complete instructional reform model designed to develop instructional excellence at school sites by maintaining a relentless focus on what occurs inside the classroom each day. To accomplish this reform, DataWORKS provides leaders with a set of research-based tools and a common language of instruction. Instructional Leadership trains administrators to use a simple, proven observation checklist. This checklist identifies 10 strategies each for lesson design, for lesson delivery, and for helping English learners. The easy-to-use checklist serves as a rubric for effective instruction and can be completed in as little as five minutes. Instructional Leadership trains administrators how to communicate clearly with teachers and coaches. Administrators, teachers, and coaches first learn to recognize and name the research-based strategies that effective teachers use. Then the observation checklist is presented to teachers ahead of classroom observations – setting a clear expectation for instructional excellence. Finally, during observations, administrators learn to provide consistent feedback only on what was seen or not seen, omitting opinions from their feedback. By using the tools and language provided in the Instructional Leadership program, administrators will begin to see instant improvement in teaching practices. Below are two videos of a teacher teaching a lesson. The first video shows a teacher teaching a lesson using basic teaching strategies. The second video shows how the Instructional Leadership program can take teaching to the next level. If you’d like to increase attendance, minimize behavioral problems, and helps students learn more and faster, then check out how our Instructional Leadership Workshop can help you implement these Engagement Norms in your school. Schedule a webinar today. 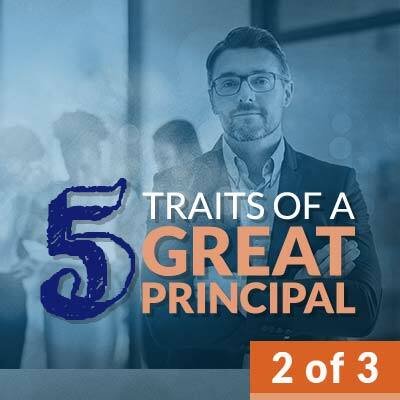 Learn What Makes a Good Principal? 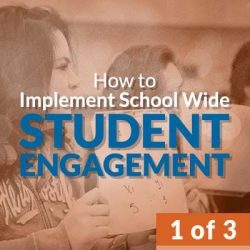 Learn how to implement school wide student engagement. The key to effective focus on instructional excellence in your school is the tools and language that you use. Our Instructional Leadership Workshop will help you gain automaticity with them and take your administrative capability to the next level — and your school as well! Schedule a webinar today using our form. If you want to sharpen the focus of your school on instructional excellence, then you need to bring a common language, common resources, and common teaching strategies to your staff. The first step is to get a detailed vision of what instructional excellence looks like — and you can do that at our Instructional Leadership Workshop. Schedule a webinar today. This program begins with an administrator training where DataWORKS’ consultants demonstrate by example or by video what each research-based strategy is, and how the strategy should look when used in the classroom. Together with the DataWORKS consultant, administrators and coaches do five-minute observations in 10 different classrooms on campus. Following each observation, the group will convene in the hall outside the classroom to compare their observations and explain what feedback should be delivered to the teacher who was just observed. The consultant will insure that feedback is tied to the strategies discussed in the training. The next step involves bringing in the teachers and introducing the strategies that administrators and coaches will be looking for. Once the entire staff has mastered the language of instructional excellence and knows the expectations, administrators and coaches begin doing regular, random classroom observations looking for the specific strategies and using their observation checklist to document what they see. Building local capacity in administrators and coaches is a priority for this training. After several sessions with a DataWORKS consultant, site leaders should be properly equipped to continue observations and basic training with limited support from DataWORKS. DataWORKS recommends that schools do an annual check-up with one of our consultants to ensure that administrators and coaches remain focused on the tools and language of instructional excellence and continue to provide the same level of coaching year after year. The Instructional Leadership program has been proven to improve the effectiveness of teachers by increasing student engagement, enhancing the process of checking for understanding, and providing better access for English learners (ELs). DataWORKS has developed the research-based Explicit Direct Instruction (EDI) approach to teaching that has been tested, refined, and proven in classrooms worldwide. The EDI Professional Development program provides a common language and procedures for well-crafted, well-taught lessons. 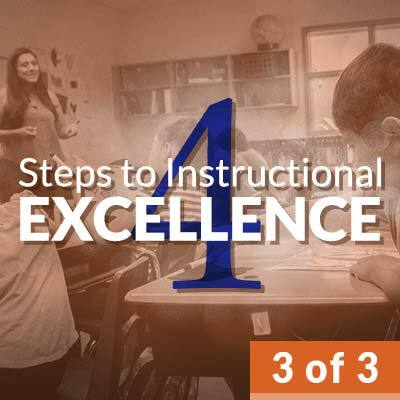 This focus on instructional excellence in the classroom allows teachers and administrators to work together to maximize student and school achievements. – Help your teachers improve lesson design and delivery, increase student engagement, and enable students to learn more the FIRST time they are taught.